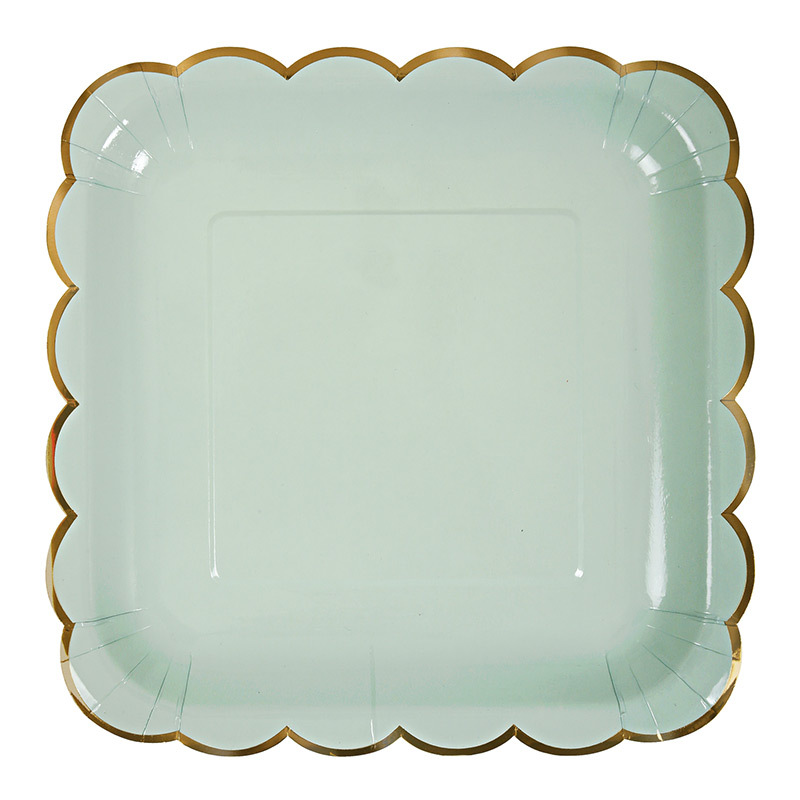 Perfectly simple with beautiful attention to detail. 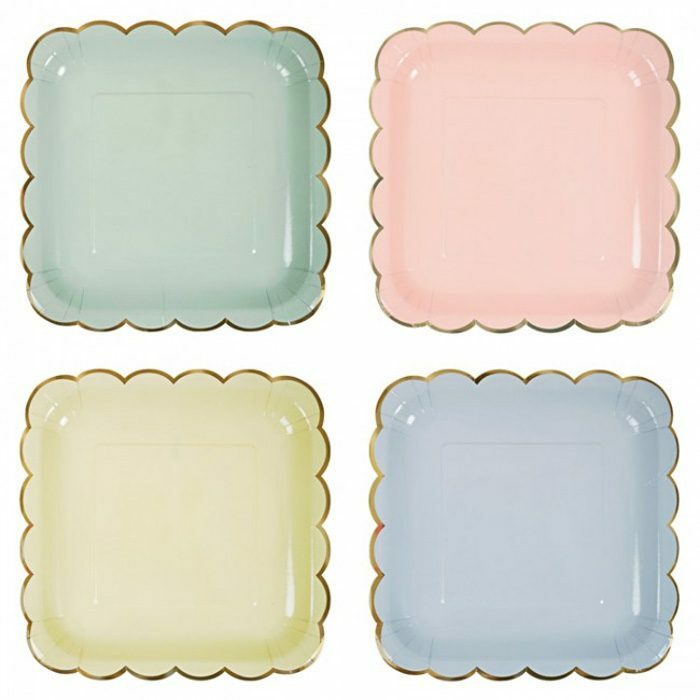 These scalloped edge square plates come in 4 different pastel shades (green, pink, yellow, blue) and are all edged in shiny golden foil. 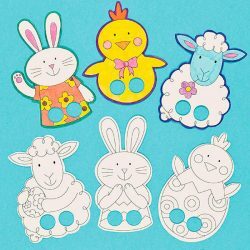 Easter finger puppets ready for you to colour in and play with. 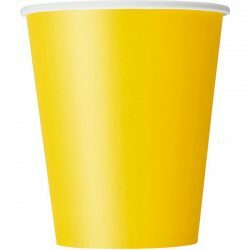 Bright sunshiny yellow spotted napkins to brighten your table and wrap your cake with. 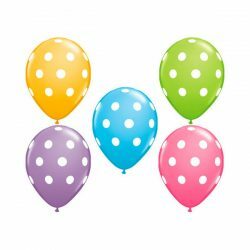 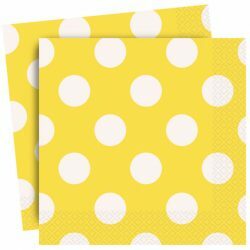 Pack of 16 yellow spotted paper napkins.